NIVEA Men Invisible Black & White Roll On Deodorant for Men is a roll-on antiperspirant deodorant that protects against yellow sweat stains on white clothes and white marks on black clothes. It provides 48-hour protection and offers a masculine ‘power’ fragrance. The dermatologically approved formula is free from alcohol and colourants. I've used a few deodorants in my time and some of them go on easily but at the end of the day you feel like you've run a marathon through the local tip! Using Nivea I come home and I'm still smelling fresh. The stain protection's TBC, as I mentioned I use a few deodorants so it's hard to know what's leaving the stains! It definitely works for the full day, and I don't feel as though I have puddles in my pits! I am required to wear black at work and being one of those men who sweat this is a great product. I like the small packaging of this product. The roll on is easy to use even after a number of uses it does not get stuck just slides easily on the skin. It dries very quickly and of course the best bit is that it does not stain the clothes. Once you use it you can forget about it and just wear your shirt white or black. It has a good strong fragrance which is quite sporty and I would say manly in a very positive manner. It works very well as an anti-perseverant. I felt it worked longer than other deodorants by giving all day protection. I have been reapplying it at the end of the day when I go out my exercise.  It’s a great product and I totally recommend it. I bought this product for my boy and it worked in the sense that there were no white marks on his clothing but it did nothing in the sense of deodarent. i mean it was like he wasn't wearing any at all it was horrible. Bought this for my hubby after he started using mine for his black T shirts! Lol. Plus its a pretty effective deo too. 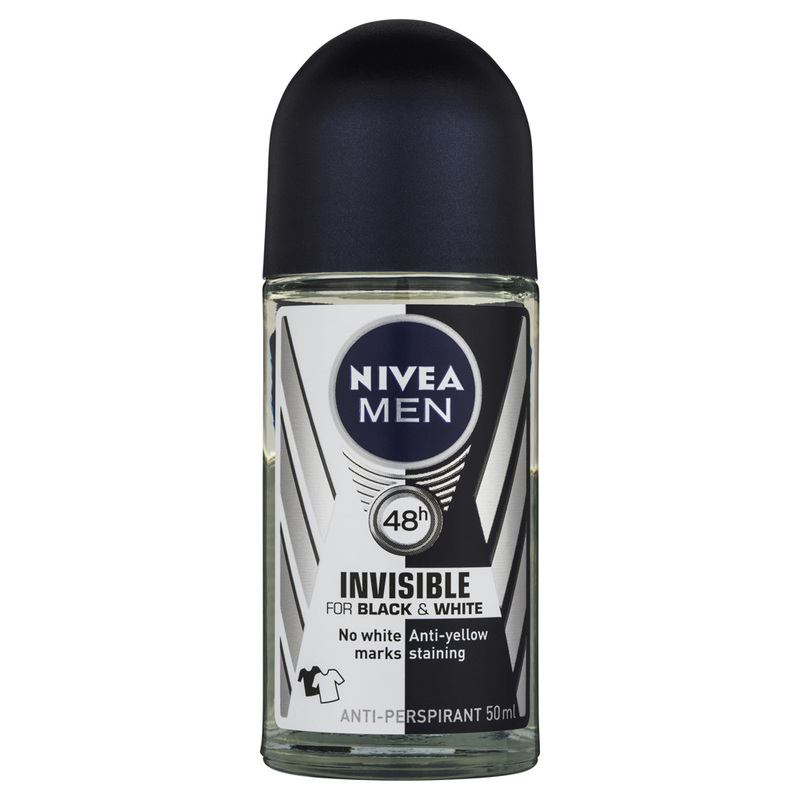 I reviewed this Nivea For men Invisible black and white in Power for Beauty Heaven. I am Shp A Everyday's partner. I have used this deodarent daily for the last 10 weeks. I used in the mornings after my shower. It comes in an easy to use roll on which I like. The scent POWER is good, its sporty and blokey and was very effective as an anti perspirant. This deodarent worked well and gave me effective protection all day from exercise, work and general things I did. I also used it as requested, and wore black and white clothing. No stains were observed on my clothes which was great, as shirts were often discoloured. This is an excellent valued product and I give it five stars - for scent, an effective anti perspirant plus great stain protection on my clothes. Are your underarms letting you down?